This former church sits to the north of the city centre in Coslany, just to the south of the inner ring road. 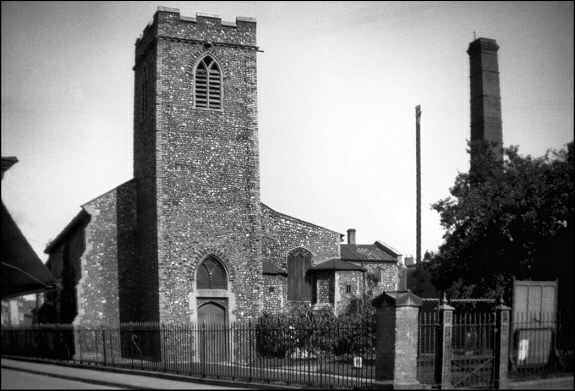 This area of tightly-packed parishes became home to shoe factories and publishing houses - indeed, the former factory to the south-east of the church is the same one that stands to the north-west of St Mary Coslany. 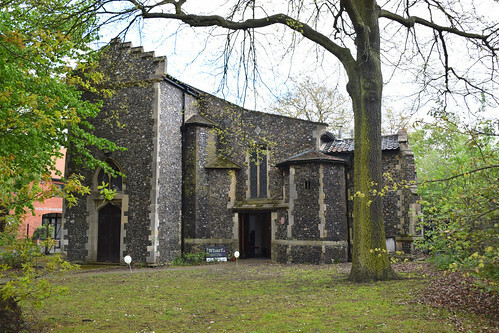 The Oak in the dedication may simply refer to the fact that the church is set on Oak Street, leading from the city to the woods which formerly lay beyond Coslany, although the image of the Blessed Virgin which once stood in the churchyard and was a site of pilgrimage and veneration is recorded as having been set in an oak tree. 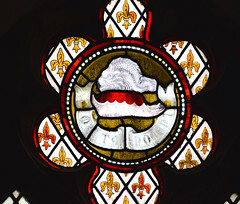 St Martin at Oak today is a poor remnant of its grand former self. 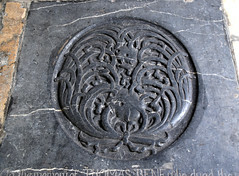 The church was rebuilt to an entirely Perpendicular design in the first half of the 15th Century. The south aisle added in the 1490s had a simply enormous south porch attached to it, which may have been an indication of future rebuilding plans. 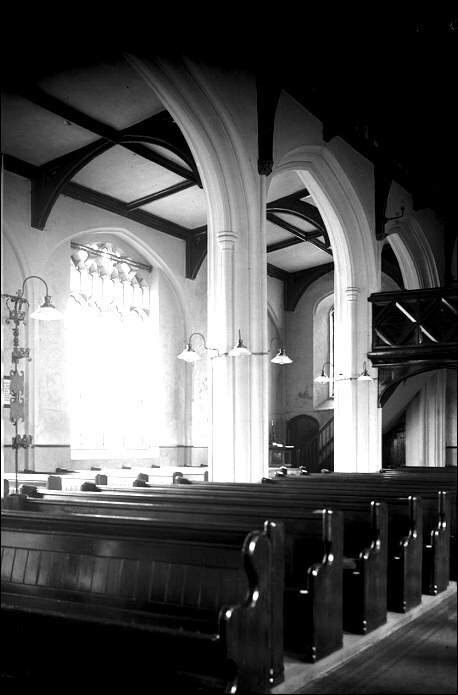 The reformation intervened before the north aisle could be built, and although there were plans to add one in the late 19th Century these never came to fruition, perhaps because of the hearty evangelical nature of the worship here, which was unusual for central Norwich and which may well have been suspicious of such apparent ritualism. 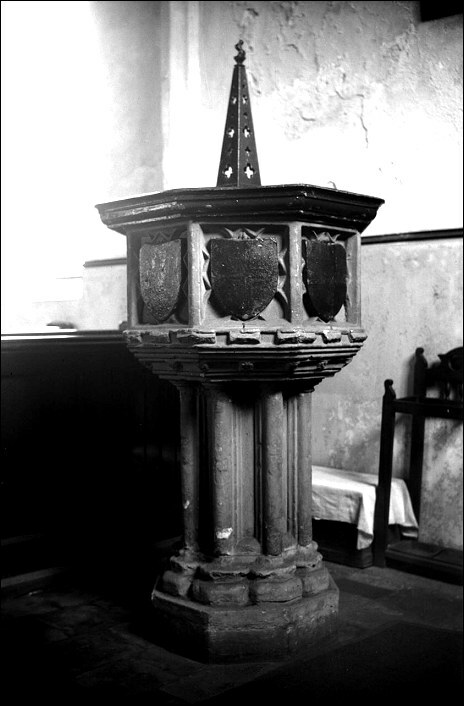 Although St Martin was still in use until the Second World War, it was destroyed by bombs in January 1942, only its truncated tower, south arcade and the outer walls of the nave and chancel surviving. 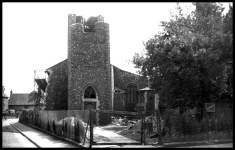 George Plunkett's three photographs below, taken over thirty years between 1932 and 1962, show the process by which the tower was reduced and the walls and roofs restored. 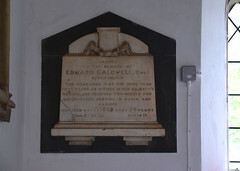 The architect of the rebuilding, completed in 1953, was John Chaplin. 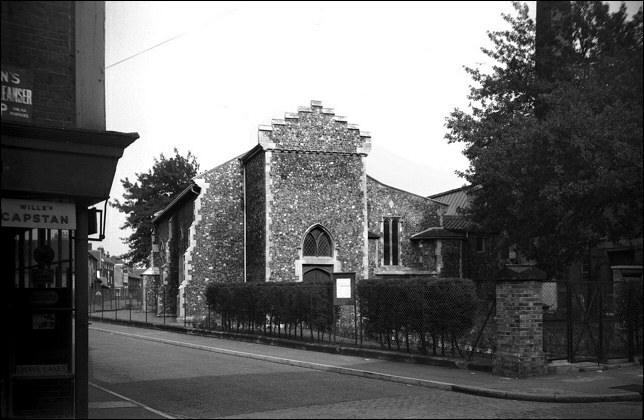 It may seem surprising that the church was rebuilt - nearby St Paul was no more badly damaged, but it was wiped off the map by town planners in the 1960s - but the intention was that St Martin at Oak would become St Martin's Hall, a resource for use by neighbouring parishes. 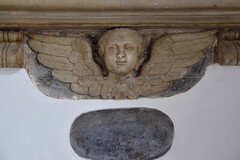 When the building was restored, a new entrance was created at the west end of the south aisle. 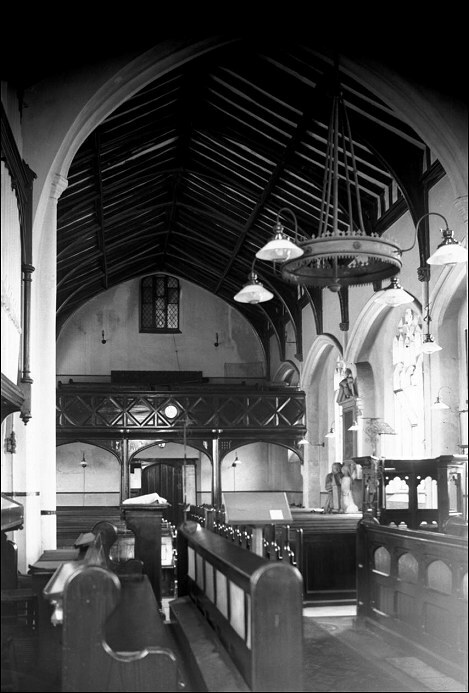 However, the Brooke report of the 1960s oversaw the redundancy of all of the surrounding parish churches, and St Martin's Hall was no longer required. The history of the building after this point is busy and not a little convoluted. 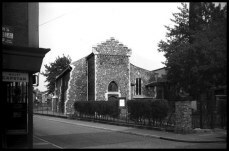 At first, the building was used by the St Martin's Housing Trust which had started life as the Norwich Night Shelter Project. 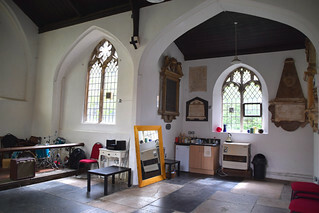 The original Night Shelter had been at St James, today the puppet theatre, but within a few years new premises were needed to cope with the swelling numbers of residents. 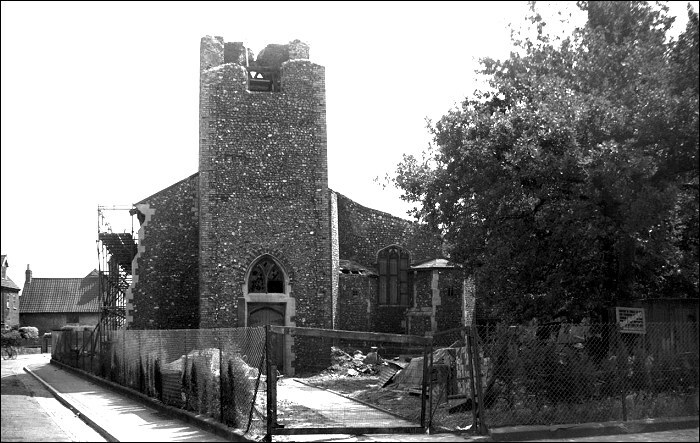 In 1978, the shelter relocated to St Martin. In 2001, the night shelter finally closed to be replaced by Bishopbridge House, a purpose-built direct access hostel and resettlement unit. 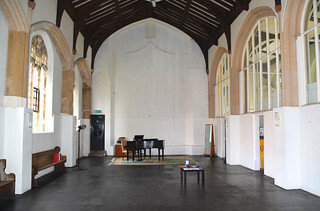 After falling into disuse for a while, St Martin at Oak was reborn as Oak Studios, used by theatre groups and local bands for rehearsal space. This then became Onoak studios, a space for artists to create large scale sculptures and installations. Today, the building has become the Wharf Contemporary Academy of Music. 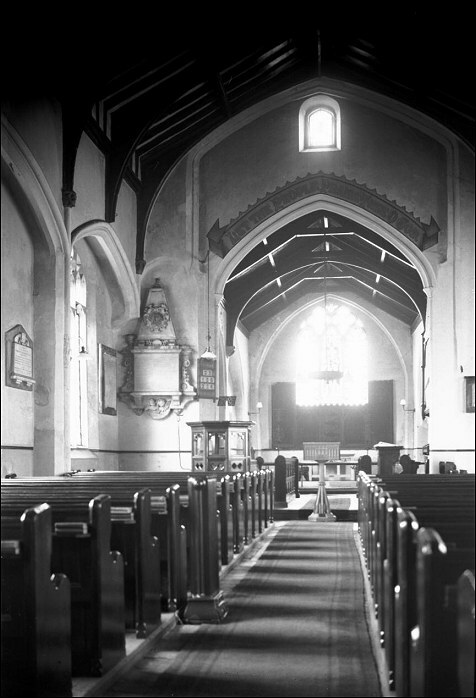 You step inside to a porchway created within the most westerly bay of the south aisle, and then into the church. The big, open space of the nave is full of light, thanks to the lack of coloured glass, and it is separated from the aisle by a long partition which creates rehearsal spaces and meeting rooms beyond the arcade. Strikingly, a wall has been built to separate the nave from the chancel, which can still be accessed through a door in the north-east corner. 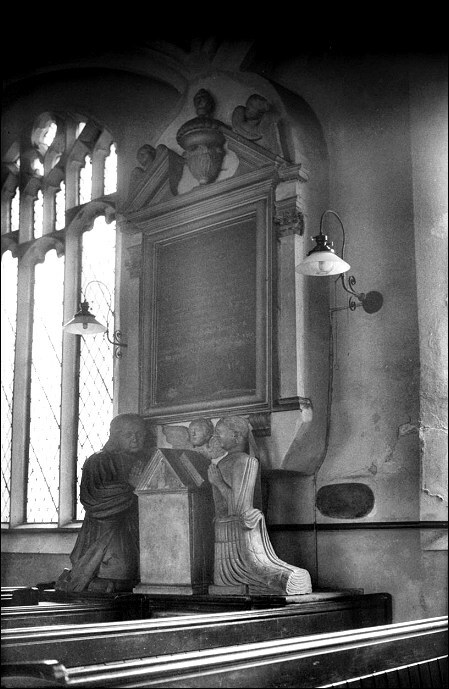 The chancel itself maintains its integrity, and is now home to the memorials collected together here from elsewhere in the church, most of them small. 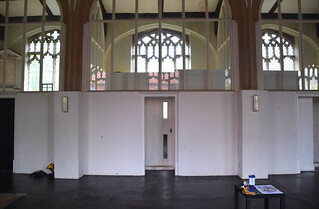 It is all done very well, and a scattering of modern art around the walls adds to the sense of a church space unlike any other in the city. 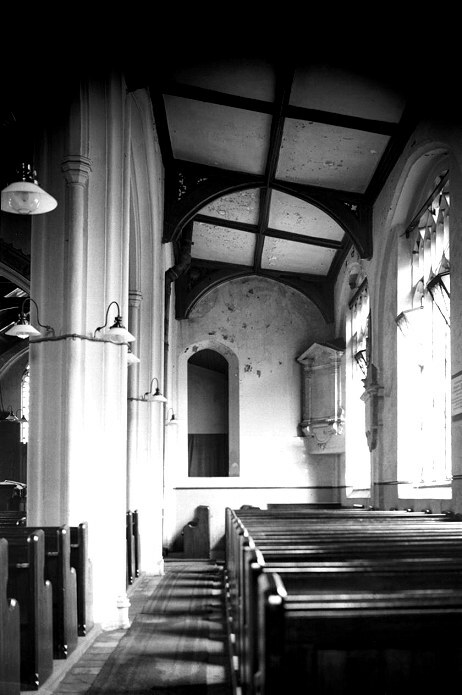 George Plunkett visited the church in 1937 shortly before its destruction, and he took the photographs below. 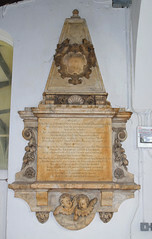 The large memorial was to Jeremiah Revans, and it was badly damaged by the bombs. The figures on it are now in store at Norwich museum.